Request Callback Looking For Volume Pricing? This item is in stock for next working day delivery to UK customers when you order by 3PM (15.00pm) Mon-Fri. Choose guaranteed next day delivery at checkout for next day delivery. Customers outside of the UK checkout for delivery rates. Orders placed after 3PM (15.00pm) on a Friday will be processed the next business/working day. All times estimated unless otherwise stated. 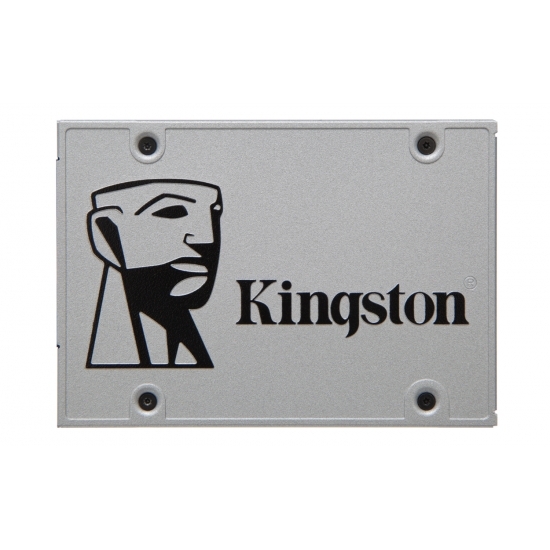 Kingston's 120GB A400 SSD drive is a 2.5" (2.5 Inch) 7mm form factor SSD with a SATA Rev 3.0 (6GB/s) interface for maximum read and write speeds for the fastest connection to your host device such as laptop, notebook, desktop or miniPC. 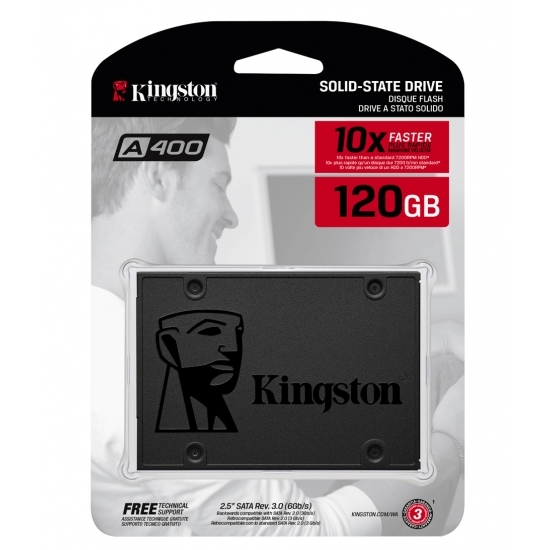 Kingston's A400 SA400S37/120G solid state drive (SSD) dramatically improves the responsiveness of your existing system with incredible boot, loading and transfer times compared to mechanical hard drives. Powered by a latest-gen controller for read and write speeds of up to 500MB/s and 320MB/s, this SSD is 10x faster than a traditional hard drive for higher performance, ultra responsive multi-tasking and an overall faster system. 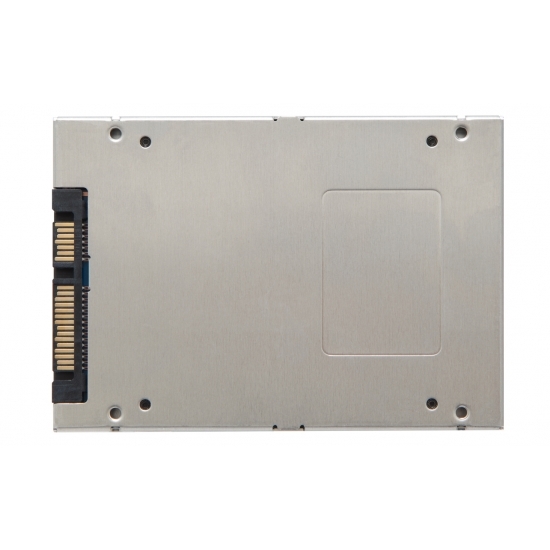 Also more reliable and durable than a hard drive, A400 SA400S37/120G is built with Flash memory. There are no moving parts, making it less likely to fail than a mechanical hard drive. It's also cooler and quieter, and its shock and vibration resistance makes it ideal for notebooks and other mobile computing devices. A400 is available in multiple capacities from 120GB–960GB with this particular offering being 120GB to give you all the space you need for applications, videos, photos and other important documents. You can also replace your hard drive or a smaller SSD with a drive big enough to hold all your files. With incredible read/write speeds, the A400 SSD will not only increase performance but can also be used to breathe new life into older systems. A400 is shock and vibration resistant for rugged reliability when used in notebooks and other mobile computing devices. Available in 120GB, 240GB, 480GB and 960GB capacities, A400 is designed to suit anyone's needs. A400 has a 7mm form factor to fit in a wider array of systems. With backwards compatibility to SATA Rev. 2.0 (3Gb/s). 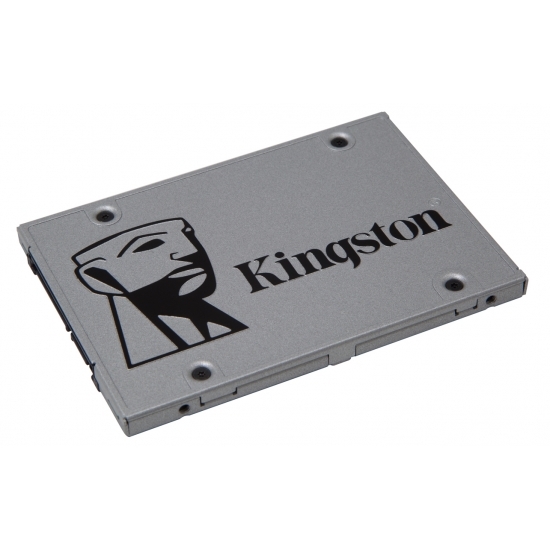 The Kingston SA400 120GB SSD stand alone drive is backed by a manufacturers 3 Years warranty for complete peace of mind. Want to know what SSD upgrades are 100% guaranteed compatible with your computer? Click here to try our SSD configurator. Please note: HTML is not translated. KingstonMemoryShop offers a very flexible and hassle free returns policy. If for whatever reason you are not happy with the item purchased you can return it to us within 12months for a refund (for unused and unopened items) or within 30 days on opened and used items for a refund. This applies to items purchased direct through KingstonMemoryShop only. For items opened and used and that are returned in a resellable condition. For items that remain sealed and unused. What is your returns criteria? On opened items 30 days from date of receipt or expected date of receipt on non tracked items. On unopened items 365 days. How do i go about returning my order? Please contact us via our contact page with your order number where we will present you with an RMA number and returns label. Do i need to contact you before returning my order? Yes, to obtain an RMA number. Does my item have to include its original packaging? Yes for items that fall within our 30 day money back guarantee and our 365 day returns. Of course for faulty items we realise you may no longer have the packaging. Who deals with the warranty on a faulty item? We will. In some circumstances we may ask you to contact the manufacturer direct for assistance. Please ensure you have read and comply in full with Section 11 & 13 of our terms and conditions which you can read here in full.